The Western Cape Digital Readiness Assessment provides a baseline against which to measure the progress made by the Western Cape Broadband Strategic Framework. This envisages a catalytic broadband environment driving co-ordinated and integrated action across the provincial government, among citizens and in the economy. While one of the key objectives relates to the development of broadband infrastructure, the plan acknowledges the demand-side factors that will determine its success. The readiness of citizens, the government and business to optimise the social and economic benefits associated with broadband extension is a key determinant of its success. 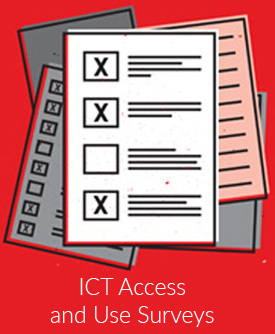 This readiness assessment, therefore, extends beyond an assessment of networks and information and communications technology (ICT) services and applications to the policy and regulatory environment, the skills base within the province and affordability, access and use, to provide a baseline assessment of the current digital readiness of the province. The Digital Readiness Assessment indicates that the Western Cape outperforms the rest of South Africa in a number of key indicators, but that it also shares many of the negative national policy outcomes constraining the development of a networked economy and society. The Western Cape Broadband Readiness Assessment was commissioned by the Western Cape Department of Economic Development and Tourism (DEDAT), and conducted by Research ICT Africa, in collaboration with the University of Cape Town and the University of the Western Cape. The authors would like to thank the Connected Leadership Task Team for their collaboration on the project and particularly their advisor, Nirvesh Sooful of African Ideas, for his contribution to various aspects of the report.